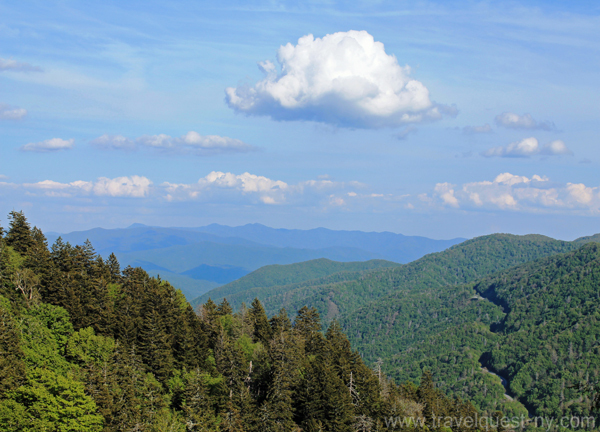 There is so much to do in the Smoky Mountains. From sightseeing, hiking, exploring, adventure and relaxation are just a moment away. Best of all, most activities are reasonably priced, and many things are to do are free! If you like to get out and sightseeing, then driving up 5046 ft to New Found Gap is for you. 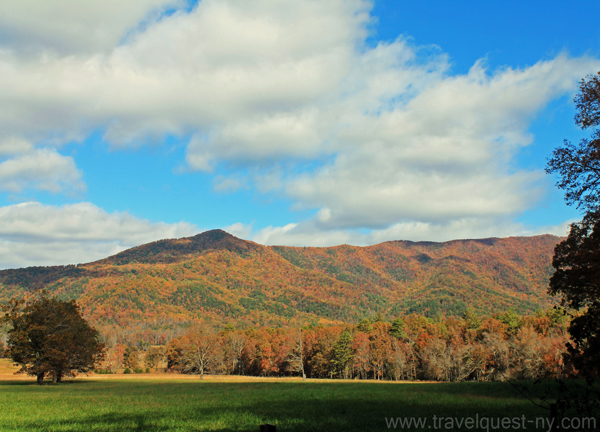 Driving up the mountain road is exhilarating during any season, but of course the autumn foliage is spectacular. There are frequent pull-offs on the side of the road, so there are numerous chances to take great pictures to document your sight-seeing tour. 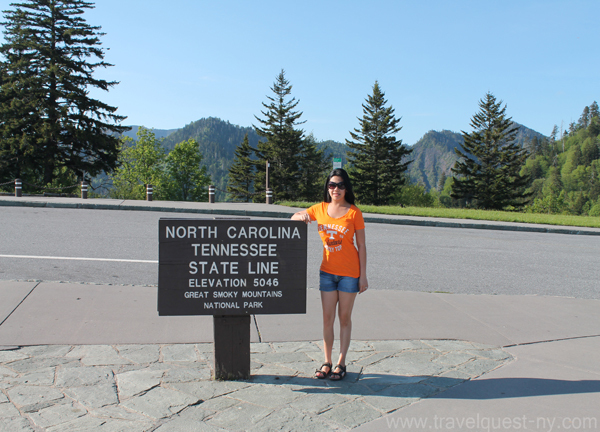 Once you get up to New Found Gap, there is a breath-taking view of the mountains, as well as a huge sign that straddles the Tennessee- North Carolina border. The Appalachian Trail, spanning the length of the Appalachian Mountains from Georgia to Maine, has an access point here as well. New Found Gap reminds us of the quote, “The best things in life are free”! Continuing on the road through the New Found Gap area takes you to Cherokee, NC, which is inside Cherokee Indian Territory. Cherokee is a charming town, full of many Indian shops selling all sorts of unique and native inspired articles like moccasins, shawls, art, and jewelry. There are many things to see in Cherokee, and many things don’t require a lot of money. Keep in mind that prices for similar merchandise vary from store to store, so feel free to shop around. The resort style town of Gatlinburg, TN is a popular tourist area. There are hundreds of quaint shops and eateries along the main street running through town. Beware that Gatlinburg runs between Mountains, so it is narrow and sometimes traffic can get congested. But this potential problem can be easily avoided by parking and bringing your walking/hiking shoes. Gatlinburg’s sidewalks are perfect for strolling while window shopping and tasting free samples of everything from homemade ice cream to local whiskey. In short, it has something for everyone! wow! the place was really cool. and i love hiking.did you take a lot of photos? Beautiful mountain view sis, haven't been to those states. Simply breathtaking vista! I would love to visit that place, probably not for the hiking part of it but for scenic photography. It's so beautiful! I've been in smoky mountain and I don;t have a chance to go hike because I have a little one. Hopefully we can go back this fall in Gatlinburg. That's a lovely place to get lost. Sounds plenty of free stuffs around too. The place offers an ambiance of serenity. Perfect for family getaway. My dad lived in NC while I was a kid. 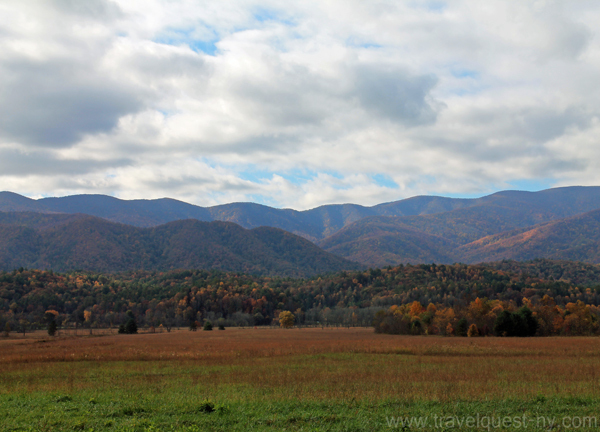 We always took the smokies route when ever traveling through. NC is Beautiful and smells so natural in the wooded areas, I just love it there! we are headed there in December and I can not wait, especially after seeing this. It helps me in planning where to go exactly as I have no clue. We love the Smokies!!! 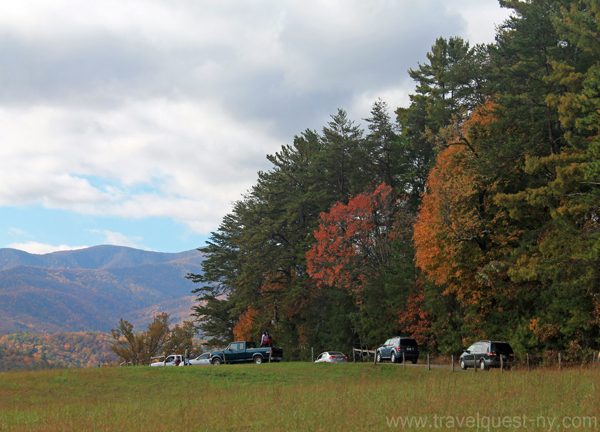 Especially camping in Cades Cove! Breathtaking, I love those mountain very nice to look at and would definitely relaxed you. Wow that is stunning. I live in Tennessee for awhile but never made it that direction now I wish I would have. Gorgeous. That is such a beautiful place.